Books are such a wonderful way of personalizing your space. Who doesn't love to be surrounded with all this wonderful inspiration. I think rooms with bookshelves are some of my most memorable spaces. Everyone feels comfortable in these rooms and they are rooms where you want to linger. I have a girlfriend who has a monumental bookshelf in her dining room. I always love to sit at the table across from the bookshelf so I can peruse the shelves between the dinner conversation. "Five years from now, you’re the same person except for the people you’ve met and the books you’ve read." These bookshelves line the stairs up the third floor of the Fallingwater house designed by Frank Lloyd Wright. What is your favourite room to display books in? Please let me know by leaving a comment. WHAT'S HOT in the world of interior design, architecture, art and travel. One of my favorite books is the Briger and Briger one. Love the image of the shelves along the walls with the ghost chair! It's good to see you back in blogging action! Love that Domino room. I could spend a weekend in there! Thank you for the Great Post Patricia! I am always inspired by cozy little reading nooks and lavish home libraries. I recently stumbled upon a wonderful hotel called "The Library" in Koh Samui in the gulf of Siam. The Library at that resort could have you reading for hours to the sound of the waves... check out the website for some great pictures! 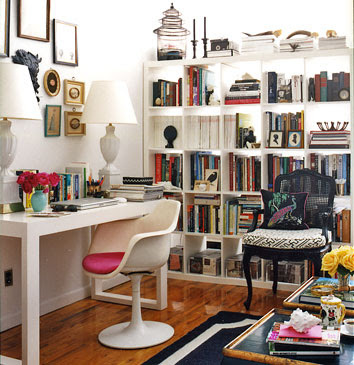 Great post, I am always always sourcing bookshelf ideas for projects! The one above the bed is something different, unique. welcome back. glad you are posting again. We have missed you. This is a great post and I share your passion for books, bookcases and people who read. Glad to see you back! I've always wanted a bookshelves in my dining room. My husband has never been too keen on the idea. Sister Parish's red lacquer library with gold accents has always been my favorite. So nice to see your post again!! Here on the coast of Texas close to Houston and Galveston, we remodeled an older home...shut up misplaced windows and doors, and built a fireplace with bookshelves on either side...we took some space off the large living area to make a nice walk in closet for the bedroom. As the carpenter was framing it in, I could see there was room for another book shelf in that space opening onto the hall wall...and had him change course and frame that in also... In this small bedroom where I write and paint, I am planning another wall to wall bookshelf..but stumbled across a lovely white wicker desk and hutch at a garage sale..It looks great and is already jammed full of books...it will do until I can get the carpenter back. I enjoy your blog and missed it when you had a lull for a while. I hope it was business and not illness that kept you away from the computer..
You can tell allot about a person by their bookshelf! I love ALL of these! I like bookshelves the most in libraries, however, I do keep small assortments of books in the guest rooms of my home. I remember the one from Domino magazine, a nook type space off of the bedroom, cozy. Hurrah, you are back, actually I missed your Coco Chanel post and commented, since I have seen the movie two weeks ago. ~Fantastique! I have a 12' bookcase in the family room, with glass doors and tos of books, mementos, photos, artwork, an antique clock, china mixed in as well! Books are my lifeline! Hey Patrica, great post! I love the bookshelf images, so imspirational :) And welcome back! i don't know what it is about book shelves. i love the way they look and make a room feel. whatever it is i love it. 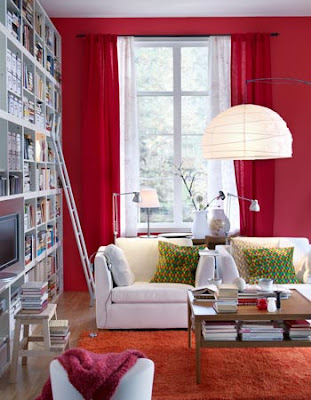 Love bookcases in living rooms, dining rooms, bedrooms and design studio's. I think built in's are the greatest for grounding the space with words of wisdom. Open to all, appreciated by many who seek the knowledge, peace and higher level of imagination...creatives of the future! You have been missed...welcome back! most of my book collection is displayed on shelves in the living room but i do have book shelves in the bedroom. Books always everywhere...dining rooms, bedrooms, living areas, kitchens. I always had many books in bathrooms also. Unfortunately now many of my books are in boxes, due to lack of space! but it is like meeting old friends when I open a box. My favourites are the bookshelves with library ladders. I can just imagine myself climbing to the top of the ladder to reach the treasure on the top shelf. I love the concept of bookshelves in dining rooms as they are such seldom used rooms and what a way of spending more time in them - other than eating. I could live in any of the pictures....the warmth of the books is hard to describe.....great post! Lovely bookcase examples - I was particularly taken with the stairs that were also bookshelves. Living in a small home I'm always taken with techniques that maximize space! I love the idea of having a dining room / library all in one. What a perfect place to eat dinner alone...with a book at hand and such atmosphere. I also love the bookshelves in the stairs. A very clever, useful place to store books. Great post! Hi Patricia, I'm not sure that I could pick a favorite place to display my books - I have a bookshelf in just about every room. I do love the bookshelves pictured with the ladders....really a classy and obviously useful touch for the avid reader. It was rather interesting for me to read the article. Thank you for it. I like such topics and everything that is connected to them. I definitely want to read more soon. My favourite bookcase is the one in your home - Stunning! I also Love all these bookshelves, but I think that my dream is to have bookshelves in my kitchen to display all my cooking books. My favourite is bookshelves with library ladders. How does this topic just never get old? Every single pic looks fresh and modern. Books are the best! My favourite bookshelves that you have shown are the wall to wall bookshelves. Aside from photographs, books adorn the walls of my home and I love the selections you chose to highlight! I'm normally a wall to wall bookshelf person but I REALLY loved the one on the stairs! Bookshelves, bookshelves, bookshelves....I never have seen so many wonderful and beautiful designs for bookcases all together in one place. This post is truly inspirational. Wonderful post and very timely too! Love them all! Thanks! What a great post! I have books everywhere, I and I love to design and build bookcases. I have a pair of stand-alone cases in the dining room, unfinished built-ins in the unfinished library, and nearly finished built=ins (which you can see on my blogger profile) in my nearly finished study. I will post pictures of progress over time at Garvinweasel. I just discovered your blog and will be back often. Thanks for this post! These are some of the Best bookshelves I have seen. I am running out of room on my bookshelves and like the idea of bookshelves in dining rooms. i want a flat like the photos!!! WOOWW . I Adore books so this was a REALLY awesome post. Thank you Patricia! i was looking up "staircases" and by some happy accident found you...the amazing Patricia Gray ! Every picture so informative and so FRESH ! My resolution for 2010 was to embrace my passion for design and treat myself to opportunities to take risks and learn. 3 days into the new year , I find you ! I have begun a renovation on my home and will visit your blog daily for education, inspiration and pure joy ! All of your concept is great.I love books.I like the bookshelves in bedroom very much. If you had some way of rating posts I would for sure give you a high rating my friend! I could cover each and every wall of our home with bookshelves! It's been fun trying to figure out how many cookbooks we can squeeze in during our kitchen renovation...with a library ladder of course! You really have some awesome ideas. Thanks for sharing. These bookshelf designs are really good. I like that one which is under stairs. Awesome post as always, happy new year! I love to hear your comments and welcome your thoughts and feedback. Please use the comment form as a discussion format pertaining to the topic at hand. 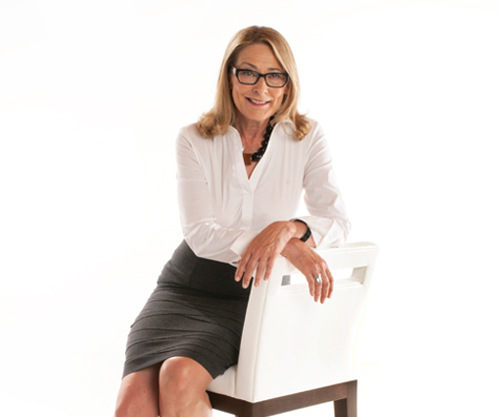 An interior design blog by Patricia Gray an award winning interior designer, furniture designer and artist from Vancouver who has created personalized environments for celebrities such as John Travolta and is published in numerous magazines including Architectural Digest. 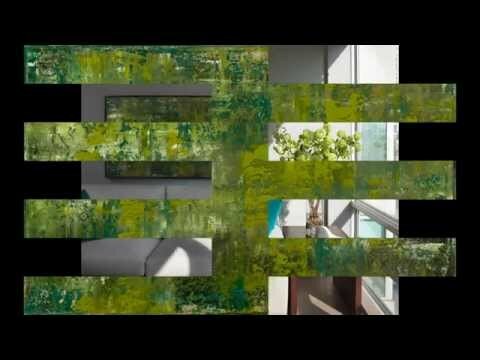 She shares her thoughts and ideas about art and design. 5 Interior Design Blogs We Couldn't Live Without This cleanly designed and beautifully photographed blog is the creation of a generous interior designer. Vancouver based Patricia Gray shares her keen eye for style, takes us on trips around the world and points out the resources and materials that she enjoys using on a job. The later is particularly useful for interior designers. It's great to see a master designer work, to look at her resources as they appear in finished spaces, and get an analysis of why and how they function beautifully. You also get the bonus of a well-trained feng shui expert, layered on top of this interior designer, and you can better understand why Patricia's interiors exude calm, serenity, and strong flow. I love your blog......and view it every morning with my coffee to start the day in a good way. I cannot tell you how much i enjoy your blog, I really feel that it is the best in the blog world. Love your inspirations. Patricia, as always, your blog lifts my spirits by seeing such lovely things and all of them presented so magnificently. Brava! You have one very nice blog bravo !!! Patricia has such energy – she reminds me of a streamlined jet! “International, sleek, knows where she is going and always provides a smooth landing” – I always admire her work. © 2017 worldwide rights, titles and interests in and to this site are owned by Patricia Gray Inc. and protected by copyright laws.